Today, with an early start we had breakfast and walked to the Thiele Center, in the St. Aloysius Parish, right near Josephinum. We packed bags with non-perishables like canned veggies, pasta, Pop Tarts, and more. 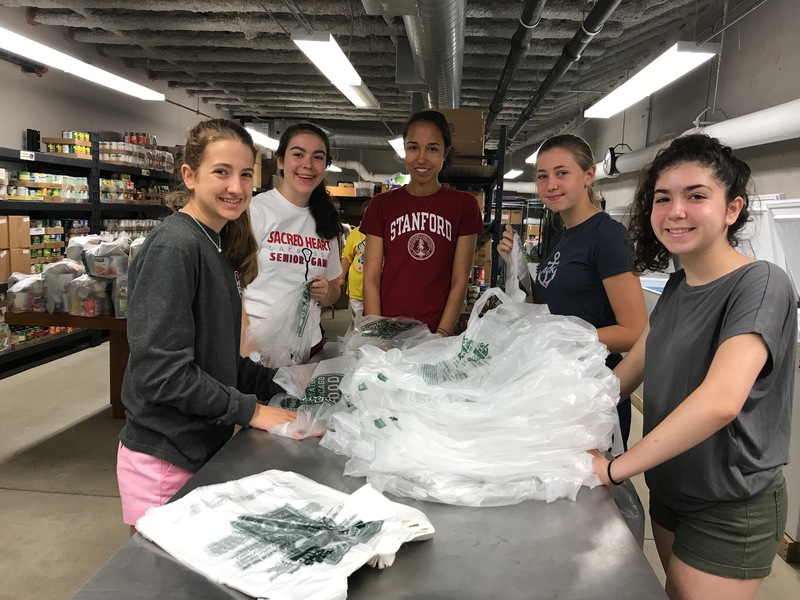 After a little while, half of the group walked back to Josephinum to make sandwiches while the rest of the group handed out the rest of the packages of food to the clients of the Thiele Center. When we returned home, we ate lunch. Then, we wrote messages with our favorite pictures for the RSCJs as a congratulations for renewing their vows as part of the Sisters of the Society of the Sacred Heart's 200th Anniversary. After that, we planned our meal and learned that we would not be shopping the neighborhood. 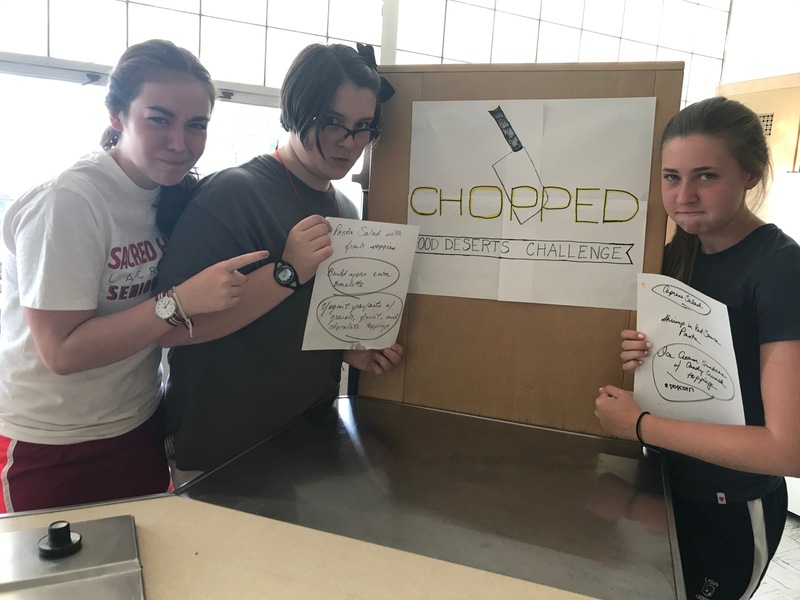 Instead, we would be allowed to use all the food at Josephinum in a dinner competition based on the television show Chopped. 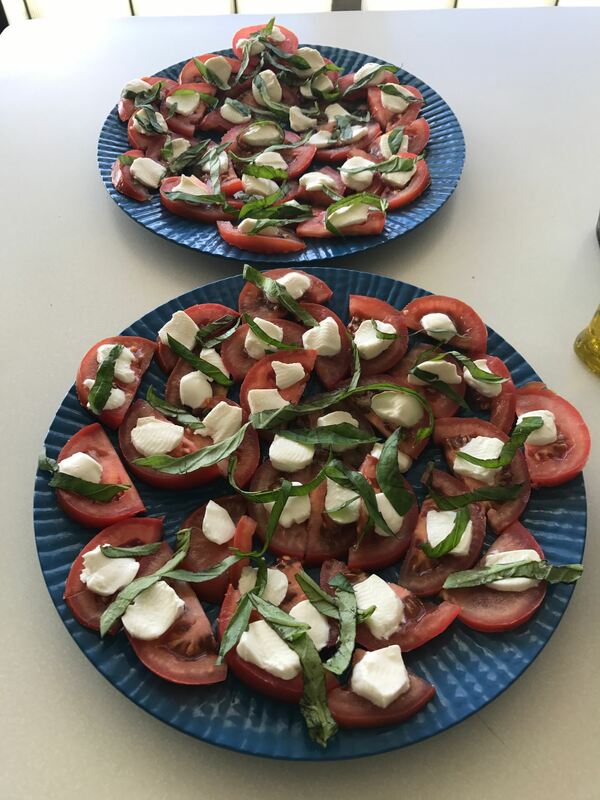 Group 1 planned a Caprese Salad, pasta with shrimp, and a party mix of popcorn with candy in it for dessert. Group 2 planned a pasta salad, make your own omelette bar, and yogurt parfaits for dessert. In the end, we tied and ate both desserts, Group 1's appetizers and Group 2's main dish. Before dinner, we had our final reflection, as tomorrow will be a busy day. We reflected on the past week and how we worked as a group. We prepped dinner, ate the delicious meal, and hopped off to bed.